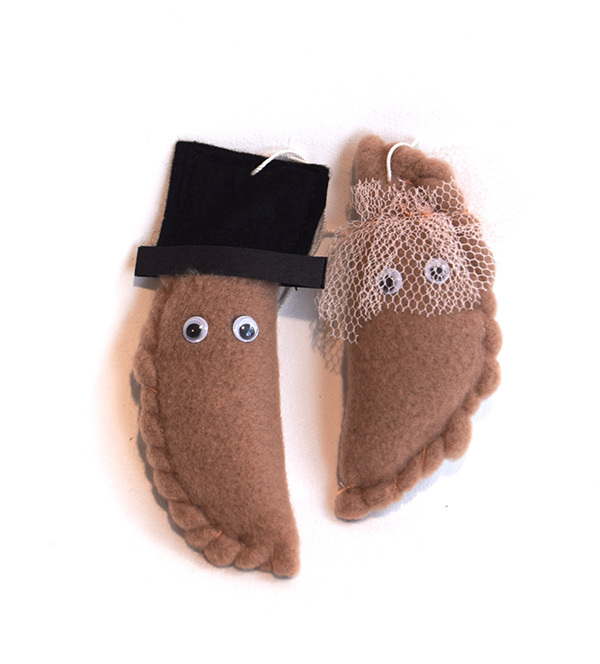 Lovely soft felt pasties to hang or dangle wherever you want! The blushing Bride in her delicate veil with sparkly crystal. The Groom sporting a very fetching Top Hat!